Lights & Sights still fascinate me. A row of one-armed bandits awaken the senses. I don’t even need to throw money away in them to check them out. Just to walk by, see what they do and how they work. My interest in these things dates back to my kid days. Seeing them on television in the backdrops of Las Vegas hotel scenes was incredible to me. Knowing that in amongst the tables people were playing cards and throwing dice. I wanted to be there. I wanted to be in the thick of it all. As part of those kid days I would awaken from dreams of being in the casino playing the machines and throwing down a perfect blackjack. The reels that spun in my dreams were always weird ones that I would invent on my own with my overactive imagination. Stuff I know would not likely ever be dreamed up by the modern programmers and designers of the modern machines today. As I grew older, I witnessed the introduction to Video Lottery Terminals. These things were popping up at corner stores, bowling alleys and other places. 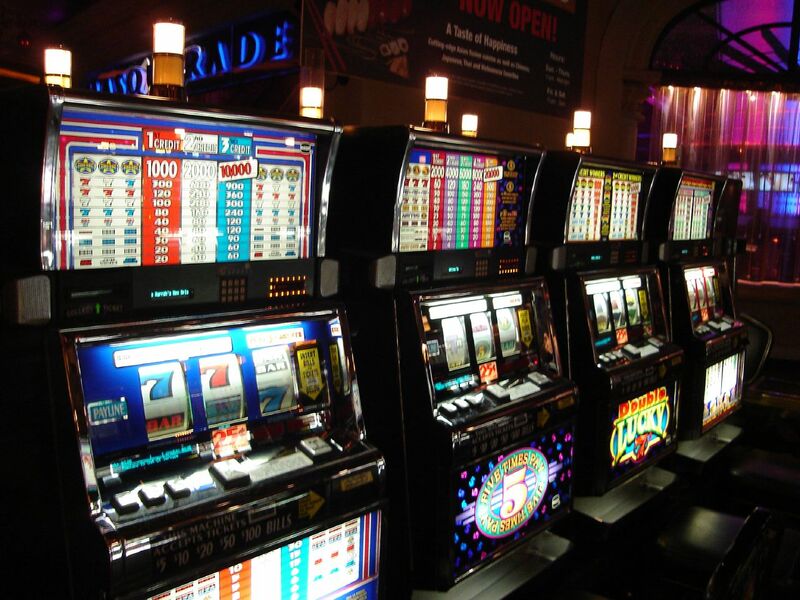 The touch screen bandits gave an insight into gambling at a more local level. But these things were not the real deal. As fun as some of them were to play, they were just not the real thing. The first few Casinos I visited were in Calgary while I lived there. The places there had real machines. The kinds that lined the rows in Vegas making them look light electronic gardens full of games. I’ve been to Las Vegas twice now. I’ve seen the very backdrops that I once saw on television as a kid. Stood in awe of the golden lights that define the Wynn and The Encore. Looked on in sheer amazement as the newer places come to life along the Vegas Strip. Having recently looked at some pics from the most recent trip and reading up on some history of the old machines, a few ideas started to generate. Ideas and inspirations that may lead to more writing on the subject down the road. Playing these machines is like life in some ways. You need to take risks and hope for the best possible payout. The payout of a modern slot machine is completely random. As one plays a spin, a random number generator is picking out a the outcome of a spin, while generating over a thousand possible combinations every second. If you spin the reels at the right second, you could score a great line and receive a payout be it large or small. Whether its’ a decision to change jobs, move, or any possible things, I’ve thought of those moments as a pull on the machine. I look back at where things have landed me. Taking risks has been beneficial in many ways. It’s also set me back in some instances. Such is life. No matter what the next spin is in life, I am just happy to be playing the game. Enjoy it. Get as many spins in as you can. Dream for the biggest payout. Work towards it. Live life well. Posted in Notes from the Frogpond.Tagged careers, change jobs, combinations, decision, Las Vegas, life, move, payouts, playing the game, plays a spin, random number generator, slot machines, spinning dreams, the biggest payout, Vegas.